-Players must dribble around the grid with the ball at their feet, while protecting the ball from the bandits who will try to hit their ball. -Bandits will run around the grid with the ball in their hands, their job is to try & hit the dribbling player&apos;s soccer ball with their ball. -If dribbling player&apos;s ball gets hit, they must dribble outside the grid & perform a double scissor/ball mastery move before returning. -How can we protect the ball more? 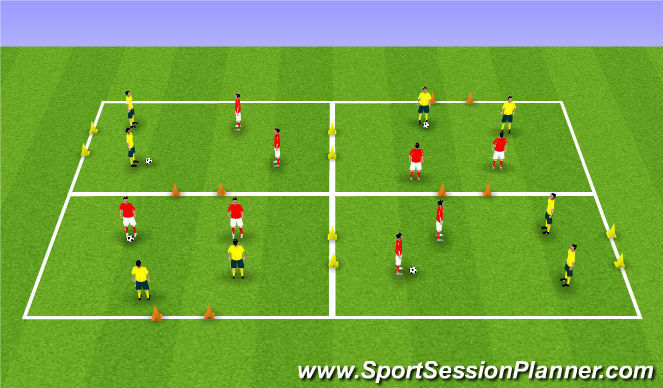 -Players start with ball at the end of the grid, player must look to beat 1st defender & dribble through one of the two gates. 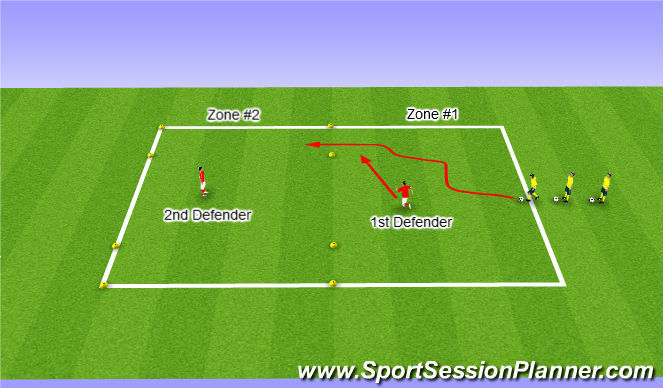 -If player is successful & gets through gate they will then have another 1v1 with the 2nd defender in the next zone. -Player must look to dribble through either gate at the top before returning to the start again. -The next player in line can go as soon as player ahead of them has went through the first zone. -If defender wins the ball back then they will take ball & join the attacking line. The player who lost the ball will now become the defender. -Players must look to dribble through the opposition team&apos;s gate to gain a point. 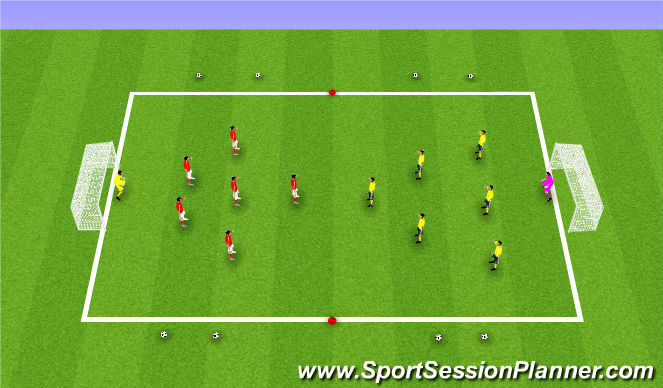 -Players must dribble through gate, they cannot kick it. -When a point is scored the opposition must start with the ball. -3 minute games & then rotate teams. -Players can now dribble through any of the gates to gain a point. 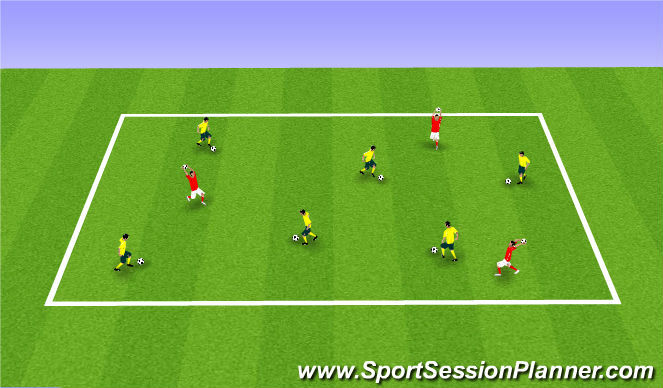 -If players dribble through gate with weaker foot it will get them 2 points.